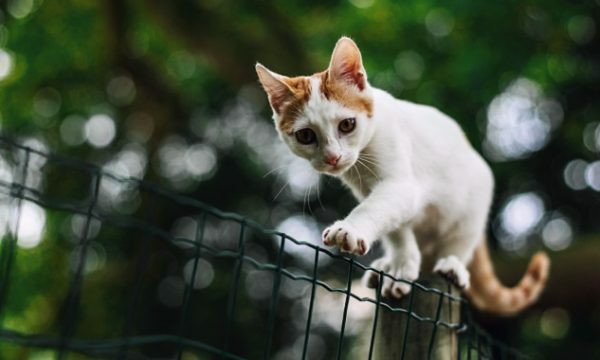 We at The Pulse publish a lot of posts about all sorts of things, so knowing what people are clicking on is a great way of taking the pulse (!) of the SME sector. After all, very rarely do people tell you about their media consumption habits truthfully. For example, while people may insist that they spent the evening watching a documentary on economics when you ask them what they got up to last night, they’re more than likely to have actually spent the evening watching The Bachelorette. Numbers don’t lie, and we have the numbers to see what people are clicking on — and we have a few theories why they’re clicking too. Holding on to good staff is high on the list of challenges for business owners. Contributor Susan Rochester takes you through some of the typical reasons why people leave, and what you can do to keep them. When Google does something, people generally take note. What it did in San Francisco earlier this year got people talking, and thinking, about what work will look like in the next 20 years. 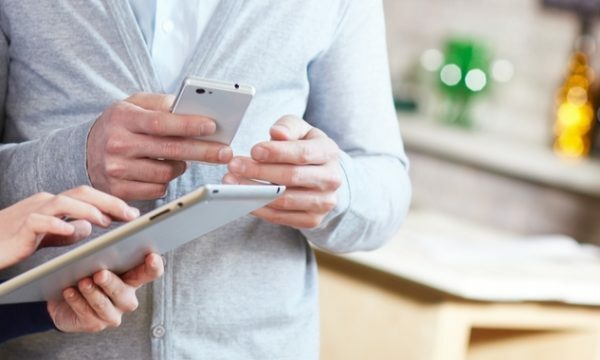 ‘Soldiering on’ at work is a really outdated idea. 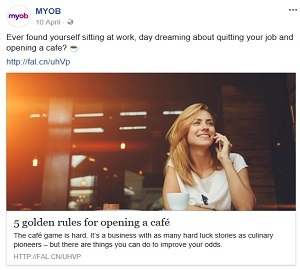 MYOB General Manager of People and Performance, Alla Keogh, gives you the low-down on why it’s a bad idea for employee and employer. What’s the deduction on the ATO’s radar right now? No surprises with tax time rolling around, but people tend to look for clues on what they should deduct and what they should leave off the tax return. This year the ATO decided to go after one thing that 6.3 million people claim to a collective tune of $1.8 billion each year. Will it be looking at this next year too? We’ve all found ourselves putting the final touches on a ripping Powerpoint presentation at midnight. Here are a few of the numbers, and some of the science, on why that’s a really dumb idea. Any change in government policy has the potential to touch the biggest sector in the Australian economy, and something which has the potential to entirely re-shape the labour pool is important. And this one was a doozy. Is there anything Adele can’t do? From being awesome and winning Grammys to featuring on our best-read list. Contributor Terri Psiakis tells us what lessons you can glean from one of the rare times Adele stuffed up. This was a bit of a recurring theme this year. In this piece, we go through why giving your employees a sense of purpose is the most powerful tool in your kitbag. Once your clients lose trust in you, it could very well be Game Over. Susan Rochester goes through the reasons this happens, and how to avoid it. We can neither confirm nor deny whether most of traffic on this post came from Fitzroy and Surry Hills. It’s something we’ve all dreamed about at one point, but it’s hard to know where to start — unless you read this post. The way many of you find our articles is on Facebook. 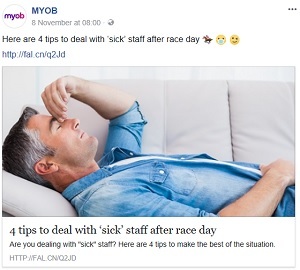 Did you know that sick days tend to increase after an event such as the Melbourne Cup where good spirits (more than one kind) are flowing? No matter what you think about it (and 11,000 readers had thoughts about it), it’s a fact of life — so best to be prepared. We’ve all dreamed about (at least 4460 people anyhow) chucking in the 9 to 5 and opening a café to brighten people’s mornings. But, it turns out it’s complicated – and industry advisor Ken Burgin lets us in on a few tips. 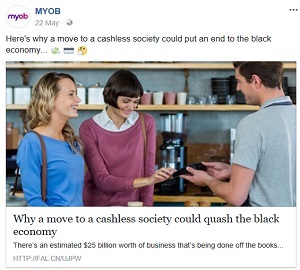 It turns out that people get fired up (well, at least 4400 of you do) by the concept of a cashless economy, but it’s something that happening. In fact, shopping centres are even phasing out ATMs. Whether or not you like the shift, the move could be great for getting more tax dollars into government coffers – which means more money for roads, schools and hospitals.